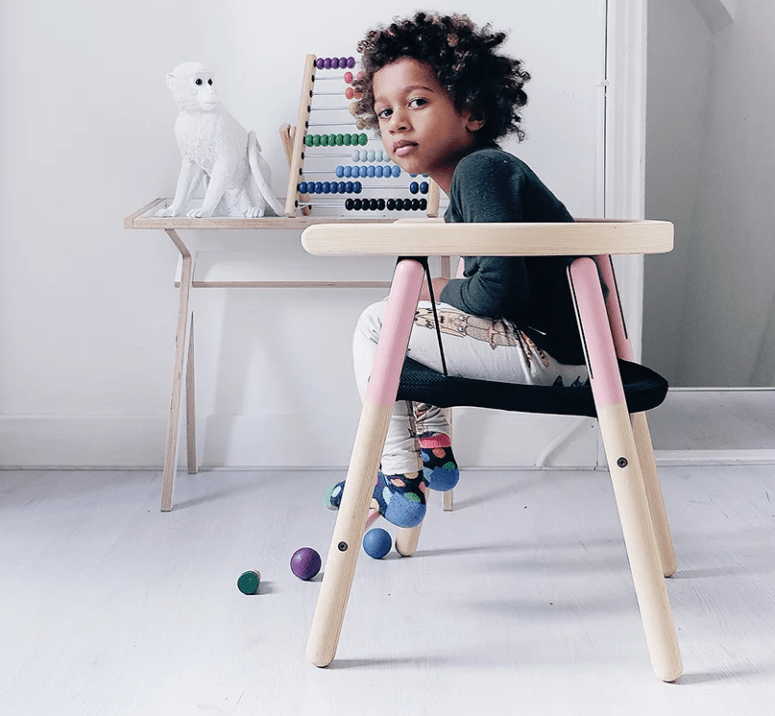 Stylish and functional kids’ furniture is not so frequent to see but today’s collection is definitely about these features. 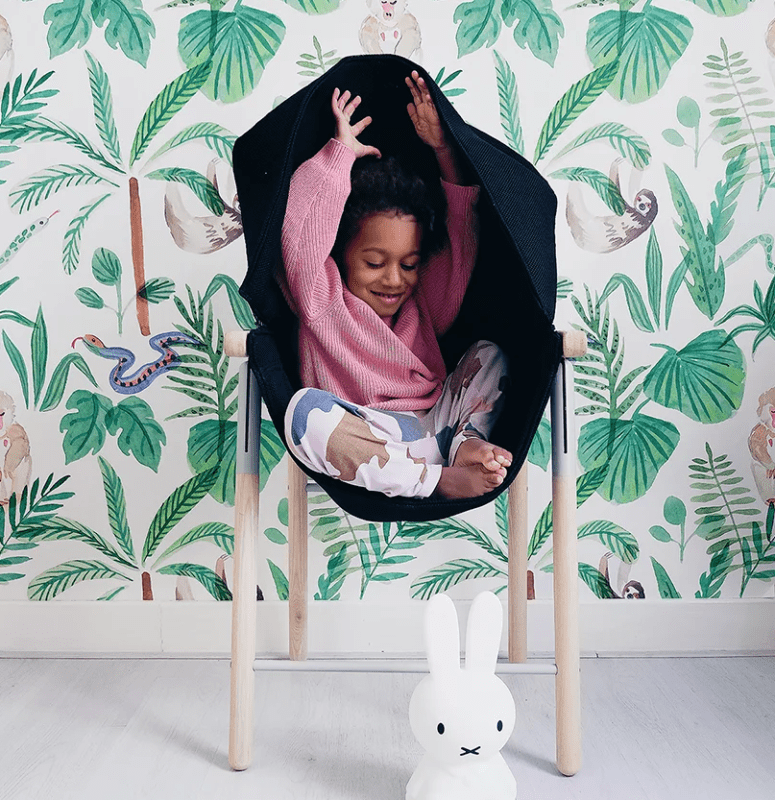 Furniture brand Tink Things is on a mission to revolutionize kids’ surroundings so they’re more fun and supportive for all. Considering different ways children interact with the environment is used as a starting point for designing furniture that is more attuned to children’s sensory needs. The idea of the new chairs is to create a more dynamic, encouraging and enjoyable spaces for kids that are truly inclusive. Ika swing chair has a non-fixed seat that not only allows kids to move, but encourages constant rocking and bouncing. It is fun, but what’s even more important, it supports kids when they need a little boost or a moment to enjoy some playful fidgeting. 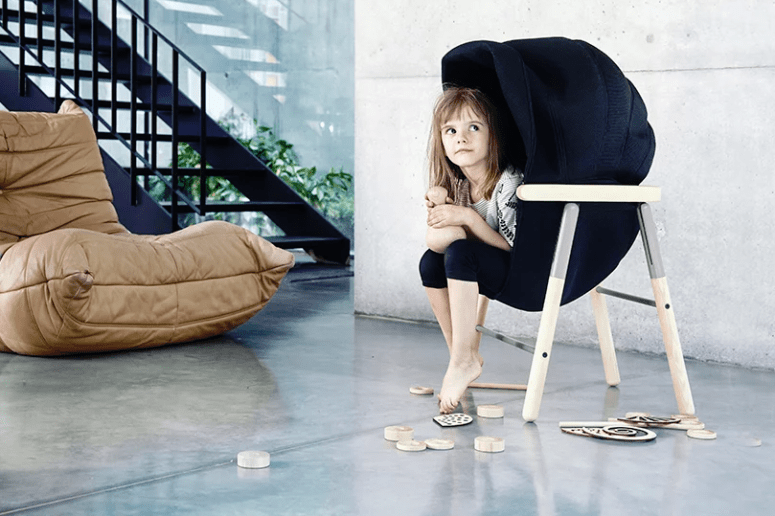 Tink Things’ Mia hoodie chair with fabric seat hugs kids and offers mild deep-pressure soothing which boosts serotonin levels and helps with stress. Furthermore, if the child feels overwhelmed, they can pull up the cocoon and partly isolate themselves, hoodie style. 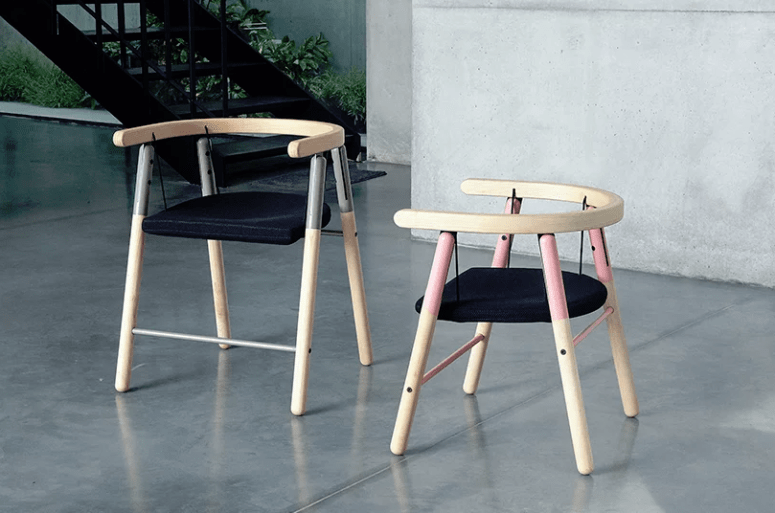 The products are made using natural, sustainable and hi-tech materials, such as solid ash wood, 3d mesh fabric and aluminum. They are tested & certified with Oeko-Tex® 100 & FSC certificates and EU tests for strength, durability, safety and stability.